Written by Nicole Kohler on September 21, 2015 Blog, eCommerce inspiration, How to sell online. Flexibility is a huge perk, especially when it comes to online stores. Customers aren’t always home for deliveries, can’t always pay up front for items, might not always like your price… so why not find a way around it? 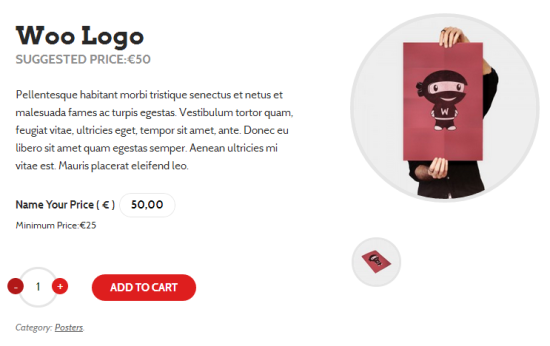 There are some fantastic WooCommerce extensions that allow you to do unexpected, almost unheard-of things for your customers. By being incredibly flexible, you’re showing that you care about them, and their situation… not just your own. Shipping costly goods that require a signature on delivery can cause some conflicts if your customers aren’t home to receive them. Shipping during the holidays can be complicated, too, since your recipients are likely to be on vacation or away for an extended period of time. It’s now possible to ship your products according to your customers’ schedules — and schedule delivery only when they’ll be home. WooCommerce Order Delivery, one of our newest extensions, allows your customers to pick a delivery date for their orders at checkout. Customers can choose their own delivery date based on estimated shipping times to their location. Depending on the shipping method selected and how long it takes to ship to the customer’s location, the customer will be able to choose from a number of delivery dates that work best for them. 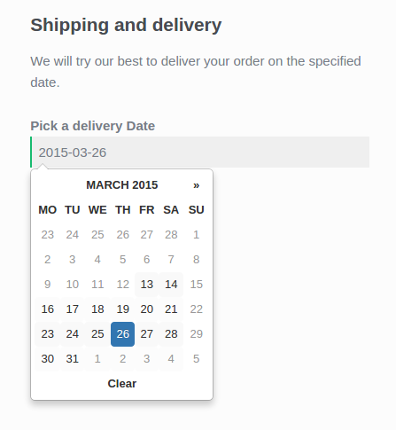 You’ll then be able to view a calendar showing your upcoming shipping dates for your orders. You can also block off days that aren’t available for shipments or deliveries, like weekends, holidays, or other days when your store will be closed. All in all, this will give your customers a ton of flexibility for receiving their packages on their schedule, not the shipping company’s. If you have a few products that cost a little more than others, you might notice that they’re slower to sell. Your customers probably want to buy them, but they might not be able to afford the up-front cost. 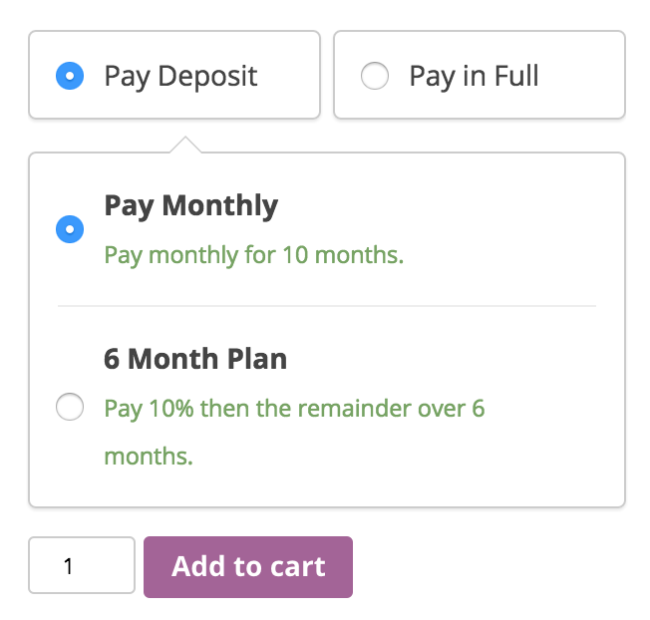 WooCommerce Deposits gives you a few ways to put these pricey products within reach. You can enable deposits on products, “reserving” a product until a customer has paid off their balance in full. Or you can enable payment plans, giving customers the option to pay off their balance in installments you specify. What the deposits option looks like. Not only does this put your more expensive products within reach, it provides a nice alternative to using a credit card. And when the customer’s balance is all paid off, they’ll be pleased as punch to receive their order from you. Sure, this approach isn’t for everyone, and especially not for every product. But it could make for a fun sale, or special promotion for a specific item, like a digital download. The Name Your Price extension allows your customers to, well, name their own price. Not to worry: you can set a minimum price for these products, so your customers won’t all say $0. But as a fun promotion or one-time-only, limited-time offer… you could allow $0 (or $1), and see what happens. The Name Your Price extension allows customers to pay what they think is fair. This could be a good way to put a smile on the face of your customers during a sale. And who knows — it might also make you a bit of extra dough, if your customers are feeling especially generous. Nobody likes feeling “out of the loop.” There are some situations in which your customers are going to want more than anything to hear from you — say, if they’re waiting for an order to ship, or anticipating the arrival of a new or bestselling product. These two extensions will give you the ability to keep in touch during crucial moments. What better way to make someone happy than to pull them back into that loop they’ve been out of? An online order goes through several steps. There’s a lot more to it than “received” and “shipping” — there’s the billing, the packaging, the waiting for the pickup… you know the drill. Sometimes your customers want to know every step of the process, especially if you have more complex operation. With WooCommerce Order Status Change Notifer, you can keep your customers happy by telling them exactly what’s happening, when, and in great detail. The “Notify Customer” option in this extension allows emails to be sent directly to the customer with any notes you’ve added about their order (visible in the “Status Comment” field). This allows you to let them know what’s happening, whether things are proceeding as normal or there’s been an exception of some kind. No one likes it when a product’s sold out. But it’s bound to happen sooner or later, especially during those busy seasons. 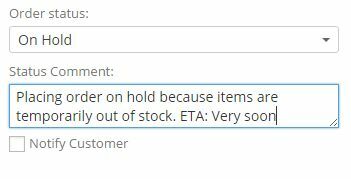 Fortunately, WooCommerce Waitlist gives you an easy way to keep your customers informed on the status of your currently out-of-stock goods. With the click of a button, customers can sign up to be notified when you have inventory again. Presto — you’ve made them happy and reclaimed otherwise lost sales. 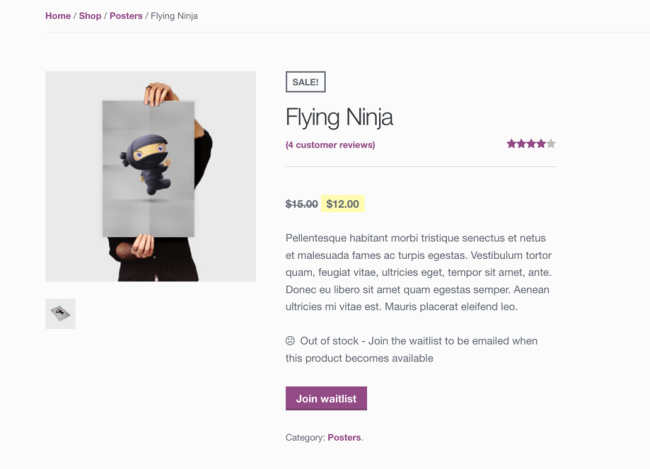 Product pages will display an option for customers to join a waitlist. As a store owner, an unhappy customer is likely one of your biggest fears. But you likely already know that being proactive is one of the best ways to combat unhappiness and disappointment. These three extensions give you some fantastic ways to proactively solve potential problems quickly, or provide easier methods for your customers to get their issues handled ASAP. If nothing else, they’ll turn frowns upside down in no time. Could any of your products be described as “complex”? Do they require assembly instructions or documentation of any kind? If so, there’s some potential for confusion there. 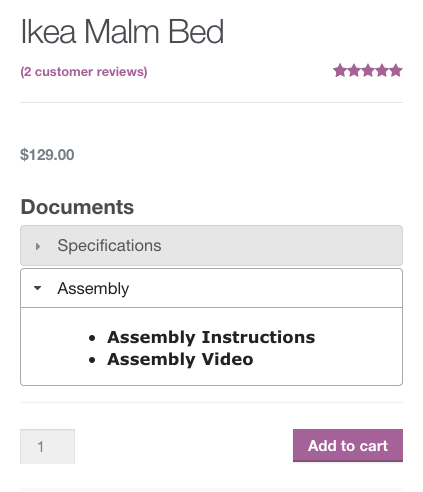 The Product Documents plugin allows you to swiftly add downloadable documents to any WooCommerce product page. Whether you need to provide assembly instructions, documentation, or just liner notes for your latest album release, you can upload documents of all types to lend your customers a hand before they run into issues. Allow your customers to download instructions, important documents, or even view videos. The plugin also allows you to customize the location of your documents. Want them to live in a tab? You got it. Need them right at the top of the page? No problem. Put them where you like, depending on how strongly your customers are going to want them. Customers can be, well, lazy sometimes. Finding your contact form, typing out a message, waiting for you to send a response… sometimes it’s easy to find a store with more information than it is to go through the hassle of figuring out how to ask you a question. 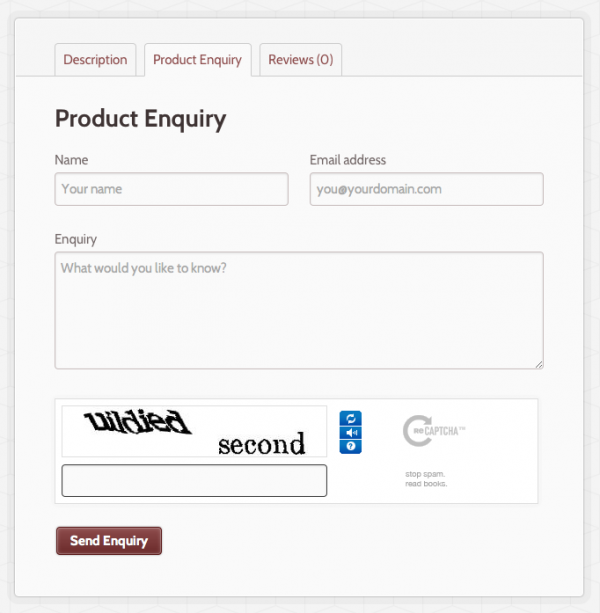 The Product Enquiry Form plugin aims to make the process of Q&A a bit easier, making your customers happier and boosting your conversion rates. Customers can ask questions right from a form on your product pages. No digging around for email addresses or “contact us” pages — with just one click on a tab, they can get in touch with you. With one click, customers can send questions right from your product pages. No hunting for email addresses required. Worried about spam? Don’t be — you’re protected by a reCAPTCHA form, so customers will be asked to prove their humanity before sending you a question. It’s fair for everyone! It’s inevitable — no matter how many documents you add or FAQs you answer, your customers will have problems. And it’s up to you to solve them. At the very least, you can make this process easier for them. Help Scout is one way your store can go about making the process of getting help smoother for your customers. The Help Scout integration adds a “Get Help” button to your customers’ order screen. Customers viewing their orders on a store with the Help Scout extension and integration will be able to click “get help” right from their Dashboard, and open a ticket with you. You can then respond to this ticket, resolve their issue, and close it as needed. There are also a variety of other options included with Help Scout’s WooCommerce integration, like the ability to convert blog comments into open tickets (cool, right?) and start conversations yourself. If you’ve got complex products or lots of customers, this is a great way to manage issues, stay connected, and keep everyone smiling. If you’ve got a site with lots of products, your customers are likely to pick out several things they want. These two extensions make it so they can get what they want most: gifts! 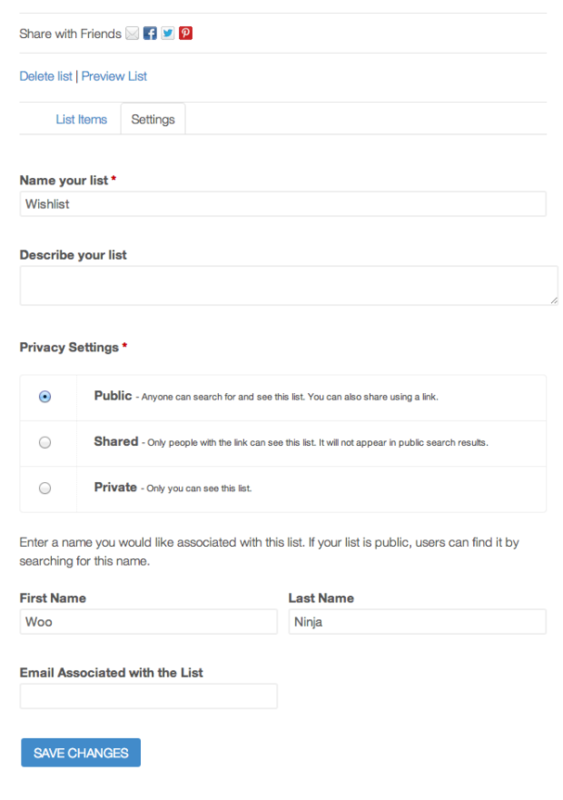 With WooCommerce Wishlists, your customers can create as many wishlists as they like. Around the holiday season, birthdays, or during other special events, your customers may pick out a few specific products on your site that they’d like to receive from others. What better way to allow them to ask for these items directly — and get the exact products they desire — than with a wishlist? Woo Commerce Wishlists adds a wishlist functionality to any store. Your customers can create public, shared, or private wishlists of your products, and share them as they wish. Multiple wishlists can even be created. Need a wishlist for Hanukkah and your birthday? No problem — the extension can handle it. Another perk: wishlists aren’t just for logged-in customers. The extension allows guests to create them, too. Guest wishlists will be stored for 30 days… which is usually long enough for a potential gifter to get the hint and buy from your store. Smart Coupons has many possibilities — it can be used to create unique coupons, offer store credit to customers, and so on. But it can also give you the ability to offer gift certificates to your store. 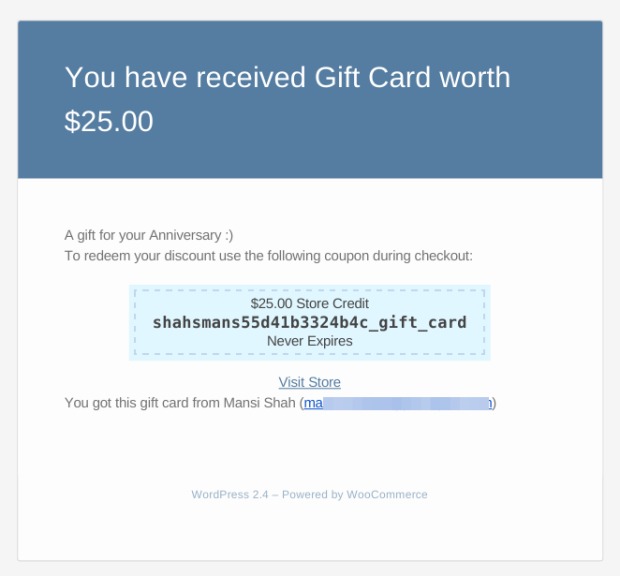 An example of a gift certificate email powered by Smart Coupons. If your customers love your store but aren’t certain what they want to buy first, with Smart Coupons, they just have to ask for a gift voucher. Or if they want to spread the love to their friends and family, they can purchase store credit and send it out with a single click. A bonus perk: your gift certificate emails can be personalized with messages to the recipients. So your customers can indicate exactly what their gifts are for, whether they’re part of an anticipated holiday treat or a “just because” surprise. Finally, you sometimes just can’t beat the little things. 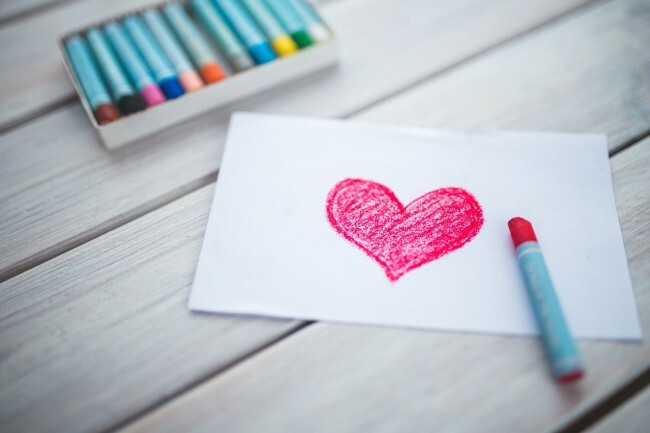 Whether it’s a bit of personalized copywriting, a cheerful little graphic, or a small gesture of kindness that only takes you a few seconds, these details might not seem like much… but they have a lasting impact. Some of the messages around your site tend to be… boring. “Successfully added to cart” — yawn, right? Dull doesn’t have to be the norm. You can make your customers smile — and drive more action — with the Cart Notices extension. Cart Notices pair custom text with a call to action for maximum effect. The biggest perk of the Cart Notices extension is that you can add calls to action when a customer adds items to their shopping cart, or is close to hitting an important threshold (for example, near the minimum for free shipping). But you can also use it to easily customize those boring pieces of text and brighten the days of your shoppers. If you’ve spent a lot of time developing your own style, it shouldn’t end at your product copywriting. Add notes of congratulation, witty remarks, or on-brand CTAs to your in-cart notices. It’s a small thing, but it’ll make a big difference. Every now and then, a customer blows you away. Maybe they write an amazing product review. Maybe they’re your first true brand advocate. Or maybe they just were incredibly nice when something went wrong, and you couldn’t have asked for a better experience. Want to reward them? Thinking about ways to make their day? The WooCommerce Give Products extension is just what you need. If you love your customers, now you can show them with a free gift. We use this extension at WooThemes during the product exchange process, but it really shines when it’s used for giveaways. We created it for digital product access — say, giving access to an MP3, a downloadable PDF, a website goodie — but you can use it for physical goods, too! Kindness can be expressed in many ways. Offer free shipping, either periodically or over a certain order threshold. Send special coupons to all of your customers in emails or through social media posts. Waive your policies when you see fit. For example, if a customer is two days over your 30 day return period, it makes sense to accept the return. Give shoutouts on social media to customers who leave great reviews… or just at random! Use images to punctuate your text. Sometimes even emoji and animated gifs can set the mood and get your shoppers grinning. Add some life to your copywriting — don’t be afraid to write casually, add jokes or puns, and find your own unique voice. It’s a small thing, but it can go a long way. How do you show kindness to your customers? Have ideas ideas of your own you’d like to share, or do you have any WooCommerce extensions you’ve used to create an incredible experience within your online store? We’d love to hear from you in the comments below. Good ideas, glad to see those suggestions. Thanks and keep it up! So this gave me an idea… is there a plugin to have monthly suscriptions from my store? That could be usefull for some kind of products like magazines and stuff. Either way, this gave me a lot of good ideas, I should try to improve my store a little, thanks! Glad to hear you enjoyed the post! Give us a shout if you have any questions. Hi Nicole Kohler, thank you for this ideas, I am not familiar with wordpress and WooCommerce. my store was made with this tools, but I am not getting any sales. I already paid three times to fix my store and nothing works. Can you work in this? or have you a reference of someone to work very well with wordpress and WooCommerce? I am afraid to try again and to lose more money. Free things are always great, I do like the Idea of having payment plans for my customers as I do larger products through some of my websites like ordering a Web Site Package that can be some what costly or even Computer Systems. Thank you for this very useful write up. Is there a plugin for stock and inventory control? I am looking for one that could probably also include packing and shipping, customer management, returns management, works on iOS or android devices and so on for my woo commerce site. Any suggestions would be greatly appreciated. Kindness has nothing to do with money. It can also mean money, but it is a much deeper gesture that you unfortunately twist for better sales of your own products. Really Good article. Thanks for sharing your creative thoughts.